A dishwasher leaking or clogged has trouble draining yet can be solved fast with a service from this company. I tell everyone; the air gap is necessary for the drain to work properly and is often the cause of clogged dishwashers. 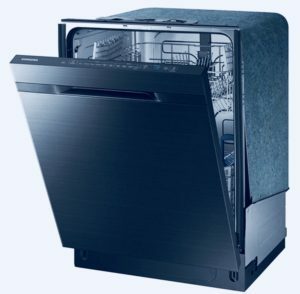 Order a dishwasher service here at our shop. Or call (760)486-7806 and get a free estimate for competitive local pricing. I see many homes with clogs in the dishwasher line and missing air gaps. Guaranteed Plumbing in Victorville offers lower prices and fast response times. Its easy to make an appointment online or call today. If you recently installed a dishwasher or your old one is leaking or failing to drain, make an appointment now. The dirty water overflowing from the air gap could contaminate your kitchen countertop and cause mold. Moreover, I encountered many customers who believed the dishwasher does not need an airgap. My only concern is the men and women who think i made it up.